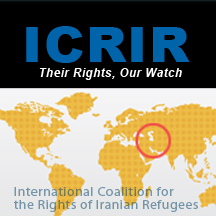 ICRIR Press Release: IRAQ: Iranian Refugee and Social Activist Ardeshir Fatehi to stand trial for participating in an anti-Islamic Republic protest! Mr. Ardeshir Fatehi, an Iranian-Kurdish social activist and a member of both Hiwa of Kurdistan and the European Kurdish Human Rights Organization, is to stand trial in Sulaymania, Iraq on Monday on charges of disturbing the peace as a result of his participation in a protest against the Islamic Republic’s consulate in Iraq. According to the information obtained by the International Coalition for the Rights of Iranian Refugees, via No to Deportation, Mr. Fatehi was arrested and imprisoned in Iran for his activities as a member of Hiwa, an independent NGO that worked to remove landmines from border areas around the Kurdish cities of Piranshar, Sardasht, Oshnaviyeh, as well as Uromiyeh. When Hiwa’s work was stopped by the Islamic Republic, several members were arrested by the Islamic regime; some [including Mr. Fatehi] escaped and became refugees in Kurdistan, Iraq. In Iraq, Mr. Fatehi was first arrested by the Patriotic Union of Kurdistan. When they tried to deliver him to the agents of the Islamic Republic, operating mainly under diplomatic cover in Iraq, he managed to escape. He has been arrested again, and at this time he requests assistance from the Kurdish Human Rights Community of Europe in preventing his deportation back to Iran. Ardeshir Fatehi participated in the protests against the execution of Hossein Khezri, which were held in front of the Consulate of the Islamic Republic in Sulaymaniya. It is his participation in this demonstration that has resulted in his most recent arrest by Iraqi authorities. The International Coalition for the Rights of Iranian Refugees strongly condemns the Kurdish authorities’ previous attempts to deliver Ardeshir Fatehi, an Iranian political activist, to the Islamic Republic’s agents. We are deeply concerned about increasing reports of arrests, imprisonments, and – under international law – the criminal act of delivering Iranian activists who have sought asylum in Iraqi Kurdistan to the terrorists of the Islamic Republic operating in Iraqi Kurdistan with the blessing of the Kurdish Autonomous Government. We demand release of all Iranian political activists arrested and imprisoned in different parts of Iraq. The right to protest against the Islamic Republic of Iran, a criminal entity, is a basic human right and should be respected everywhere; Iraq is no exception. We demand that all charges against Ardeshir Fatehi be dropped immediately. In light of recent reports regarding the unlawful, criminal deportation of Iranian asylum seekers by the Iraqi authorities, in Kurdistan and elsewhere in Iraq, we would like to remind UNHCR of their duties and responsibilities towards the security of all Iranian refugees and asylum seekers.